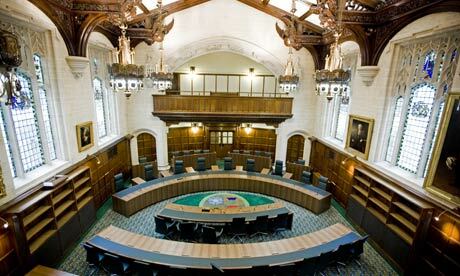 Two appeals are listed in the Supreme Court this week with R v F and R v M being heard by Lords Hope, Rodger and Walker, Lady Hale and Lord Brown on Monday 6 December. The case is concerned with the criminal offence of making funds available to Iraq contrary to the Iraq (United Nations Sanctions) Order 2000 (the “Order“) and in particular the question of whether the offence can be committed where the Order was made ultra vires. The Court will determine whether the power to create criminal offences granted to Her Majesty in Council by section 1 of the United Nations Act 1946 (the “1946 Act”) may only lawfully be exercised at or about the time of the relevant Security Council resolution; and if so, whether, to the extent they create a criminal offence, Articles 3(a) and 11(4) of the Iraq (United Nations Sanctions) Order 2000 are ultra vires section 1 of the 1946 Act given that the relevant Security Council resolution was adopted in 1990. The Supreme Court details for both appellants are here. The case of Brent London Borough Council & Others (Harrow London Borough Council) v Risk Management Partners Ltd will be heard from Wednesday 8 to Monday 13 December by Lords Hope, Rodger, Walker and Brown and Sir John Dyson SCJ. The issues are firstly whether the Councils acted ultra vires in establishing and capitalising a mutual insurance business in collaboration with a group of other local authorities for the purpose of reducing the expense of procuring insurance coverage and secondly, whether the EU law Teckal exemption functions to exclude an association of local authorities cooperating in order to provide themselves with insurance coverage from the application of the obligation imposed under the EU Procurement Directive to send a contract for the provision of such services out for competitive private sector tender. The Supreme Court details are here. The Child Poverty Action Group v Secretary of State for Work and Pensions, which was heard 25 October 2010. The Supreme Court details are here. Progress Property Company Limited v Moorgarth Group Limited, heard 5-6 October 2010. Here is our case preview and the Supreme Court case details are here. The Privy Council will continue to hear the following 4 linked Isle of Man cases that commenced last week on Tuesday 30 November and are scheduled to conclude on Tuesday 7 December: AK Investment CJSC v Kyrgyz Mobil Tel Limited and Ors; Altimo Holdings and Investments Limited v Kyrgyz Mobil Tel Limited and Others; CP Credit Prive SA v Kyrgyz Mobil Tel Limited and Others; and Fellowes International Holdings Limited v Kyrgyz Mobil Tel Limited and Others. The cases concern the claims by a number of Isle of Man companies against foreign parties for the fraudulent misappropriation of assets. The issue is whether the companies may serve the foreign parties out of jurisdiction where the appropriate forum for the litigation is Kyrgyzstan, due to the claimants’ evidence of alleged corruption of the Kyrgyz judicial process. (Please click on each case for the Privy Council case details). No judgments have been announced for hand down in the Privy Council. Leave a reply on "In the Supreme Court w/c 6 December 2010"